When winter comes, and especially when the festive season comes, we all want to lose weight quickly. If you need a diet that will allow you to lose a large number of pounds in a short period of time. Therefore this winter diet is perfect for you. Like any fast diet, this is recommended only from time to time. It should never be pursued for a longer period of time. This diet will surely come as a first aid before the holidays! 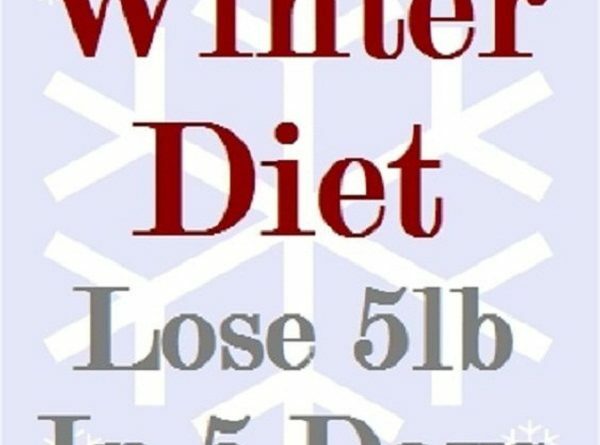 This is a very short diet, with reduced water intake, but the results are excellent. The water intake is limited to 2 cups per day. On the other side- the increased intake of fruits and vegetables that are rich in liquids. Consume it in large quantities and preferably fresh. Find seasonal fruits and vegetables in the local markets and supermarkets, but avoid frozen products. The purpose of a diet is to attack the fat, and the best results just showed in women who suffer from that. If held for more than 5 days can be harmful to your health, therefore it is not recommended for a long time. The positive side of this diet is fat loss, but if we do not take care, after the diet they can easily be restored. Our recommendation is to choose this diet exclusively, to quickie lose weight for an event, wedding or something. But be careful after this 5 days. You can easily return your old pounds.